Every time I brewed a beer from this book, it turn fantastic! For one gallon brewing, Emma Christensen’s book Brew Better Beer is a must read. It inspired me to go one gallon for all the reasons you outline. I’ve got BBS book too, but like a lot of books it dwells on the unique and adjunct flavourings and less on brewing a strong version of a classic style. Saying that, its recipe bones are good. 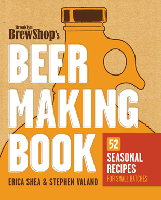 The the book is The Naked Brewer, but it mostly does 2.5 gallon recipes. There’s indeed plenty of great books about beer recipes. Mike Karnowski’s Homebrew Beyond the Basics is also highly reputed.